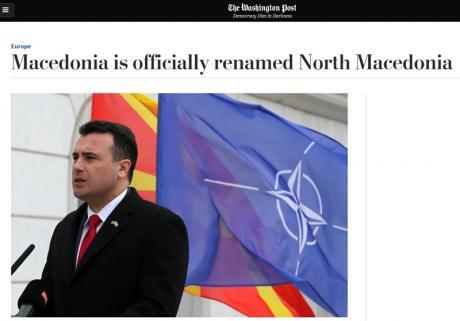 Tonight, after the government ‘s press release stating that the Prespa Treaty today is officially entering into force and the country is officially called the Republic of North Macedonia, the websites of the Government and Parliament immediately updated the changes with the new name. US “Washington Post” also reported about this. Athens had long argued that its small, landlocked neighbor’s name implied claims on the northern Greek province of Macedonia, and on ancient Greek cultural heritage, Washington Post wrote.